If it bleeds, it leads, goes the old adage about local TV news. In director Dan Gilroy’s Nightcrawler, Jake Gyllenhaal’s ambitious sociopath Lou Bloom takes this to heart when he seizes the opportunity to make a name for himself in L.A. as a freelance TV cameraman. Bloom’s thrist for blood—in the form of car accidents and home invasions—becomes so insatiable that he’s willing to put his life on the line for footage that will garner him top dollar. Nightcrawler also stars Riz Ahmed as Bloom’s assistant, Bill Paxton as Bloom’s rival, and Rene Russo as the TV news producer Bloom works for on an exclusive basis. 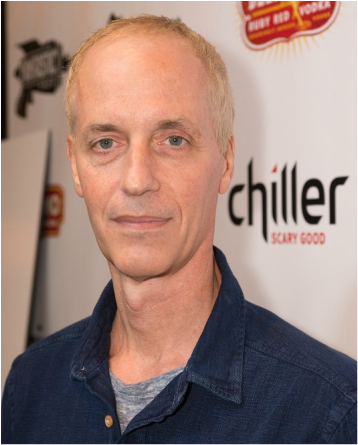 Nightcrawler marks the directorial debut of Dan Gilroy, who previously wrote The Fall, Real Steel, and The Bourne Legacy as well as Freejack and Two for the Money, which both starred his wife, Rene Russo. Nightcrawler, which premiered locally at this year’s Fantastic Fest with Dan Gilroy in attendance, opened Oct. 31 in Austin.